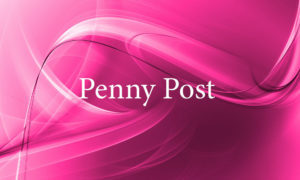 Welcome to our latest guide to courses and classes in the Penny Post area from April to June 2019. Click the buttons below to go direct to the section you’re interested in. Drawing and painting courses at Newbury College from April 2019. Discover hidden artistic talents with a wide range of short art courses, exploring a variety of subjects and media. Click here for details (select Leisure Courses). Drawing and painting mixed-ability course starting Weds 24 April (choice of morning or eve sessions) at Grove Adult Learning Centre. Structured introduction to a range of art and design activities. Click here for course details. Oil & acrylics ten-week course for experienced and less experienced painters with local artist and tutor Tessa Kirby. Starts 10am Wed 24 Apr in the lovely Boxford Village Hall. Click here for details. Watercolour painting weekends 6-7 Apr and 1-2 June. Famous for her wit and inspiring techniques, Frankie Cummin’s painting weekends in Great Bedwyn ar a must for any watercolourist, however novice. Single Saturday or Sunday sessions can also be booked. Contact Frankie on 01672 871 858 frankie@paintingweekends.com. Art workshops are available at the White Horse Bookshop in Marlborough. These are normally one-day (10am-4pm) and cover a wide range of techniques. For more information click here or call 01672 512 071. Art workshops at The Hub & Library in Hungerford include self-lead drawing workshops on the first Sunday of the month, watercolours for beginners, a mono print workshop and an Instagram for Creatives workshop. Ceramic sculpture and pottery courses with sculptor Diana Pattenden in Newbury. Term-time courses to get creative with clay and learn how to sculpt, slab, coil, throw, fire and glaze. Contact Diana on 07887 844 981, diana@dianapattenden.co.uk or visit her website. Pottery workshops from April 2019 at Newbury College. Discover hidden artistic talents with a wide range of courses. Click here for more information (select Leisure Courses). Art & Soul beginner ceramics (kiln on site) in Marlborough. Click here for details or contact Sue on lucey.sue@live.co.uk. Craft workshops at The Base Fabulous Felt Making Sun 12 May, Macrame Beginners Workshop Thurs 27 June, Paper Paintings – Matisse Style Fri 28 Jun (includes entry to the Matisse: Drawing with Scissors exhibition) at The Base, Greenham Business Park, Newbury. Creative crafts from April 2019 at Newbury College. Discover hidden artistic talents with a wide range of short craft courses. Click here for more information (select Leisure Courses). Craft workshops at The Wantage Mix. Contact Jo at joharvey100@gmail.com in Wantage. Knit, Knot & Natter at Vale & Downland Museum Cafe in Wantage. Bring your own craft project or take tuition from the Museum craft group. 1.30pm every third Friday of the month. Free. Introduction to lacemaking a small group of Lace Makers demonstrate how lace is made in the Vale & Downland Museum Cafe in Wantage at 1.30pm on every second Monday of the month. Calligraphy workshop at Jade Bailey Interiors Hungerford. 5.00-8.30pm Sat 27 April. £56 per person, includes your own calligraphy set. Two spaces left. Digital photography workshop with Thatcham Photo Club 10am-4pm Sun 12 May in Bucklebury Memorial Hall. 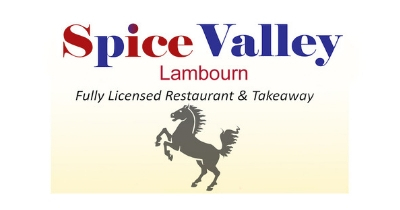 Click here to book £30 inc sandwich lunch and refreshments. Flower arranging with Skylark Flower Company. Friendly, fun and supportive group and 1:1 workshops (all year round) and our monthly Thursday evening flower club (May – October) in East Garston to share the magic of creating beautiful floral creations. For dates please contact Lorna on 07795 486336 or DM on instagram instagram.com/skylarkflowerco. Thyme Together weekly gardening and craft sessions for older people start 1-3pm Thurs 4 Apr at Five a Day Market Garden, Englefield. Learn how to plant wildflowers with Growing2gether at the Family Activity Day on Weds 10 Apr at Shaw House, Newbury. Cooking workshops and culinary masterclasses from April 2019 at Newbury College. Cook up a storm and expand your repertoire from Mexican and Indian cuisine to patisserie and pies. Click here for more information (select Leisure Course). Wine courses (WSET Levels 1 & 2) at GrapeSmith Wine Academy, Barrs Yard, Hungerford, the only local WSET-approved provider offering these internationally recognised wine qualifications. Wine-tasting packages also available. 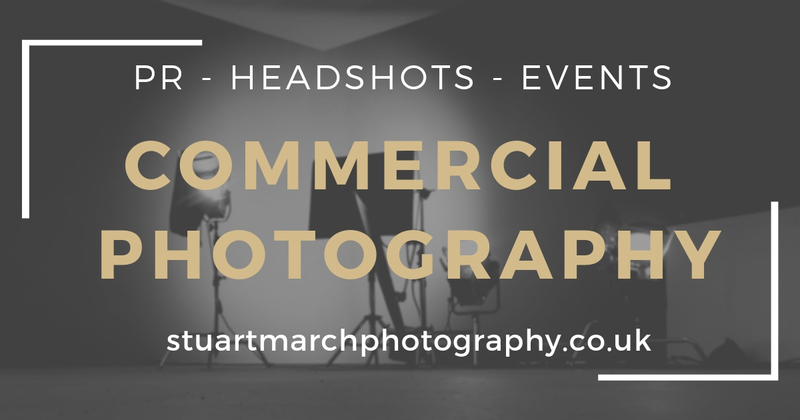 For more information email Polly on polly@grapesmith.co.uk, call 01488 680933 or visit the website. Honesty Cookery School near Newbury offers a mouth-watering range of cookery classes including the Flavours of India, Artisan Cheese & Butter Making, Korean Home Cooking, Perfect Pizza making, a Feast from the Andes, Southeast Asian foods, vegetarian courses and more. Book at cookeryschool@honestygroup.co.uk or 01635 268 989. Gift vouchers make great gifts for foodies! Cooking and nutrition workshops at Maymessy Cookery School in West Challow nr Wantage which runs popular children’s cookery and holiday camps, cookery classes for adults, gardening and cookery life skills for disadvantaged young people. A beautiful venue over-looking the Ridgeway, Maymessy available to hire for local groups & tutors. Please contact Anna Richards at anna@maymessy.com or 07960 489 677. LoveFood cookery workshops in Marlborough. Fun, relaxed, small classes. Learn easy, healthy & tasty family friendly dishes in Feed the Family Thur 25 Apr. Learn how to eat foods that help keep us healthy. Nutritional Workshop Wed 1 May. 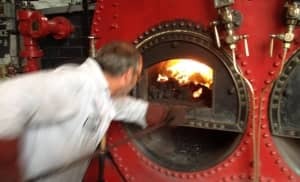 To book visit lovefood.uk.com or ring Lucinda on 01672 519832. Newbury Workplace Choir brighten up your lunchtime by singing a wide range of musical styles at the Corn Exchange Learning Centre, Newbury. No experience required. Starts Thurs 25 Apr. Click here to book. Sing The World community choir meets 7.30-9.30pm Mon from 13 May at Speen Parish Hall near Newbury. No auditions or previous experience required, just a love of a capella singing in harmony. Contact natural voice practitioner Tessa Hall on singingtheworld@gmail.com 07909775661 or visit letssingtheworld.org.uk. Pay weekly or termly. Marlborough Community Choir natural voice choir – no solos, auditions or musical experience required – just singing for fun on Weds evenings in Marlborough. Visit mcc.singtastic.co.uk for details. Individual singing and piano lessons (especially for the terrified!). All ages and levels from beginners to advanced. Individual lessons taught in central Wantage. Contact Jim Mitchell on 01235 767975 or jamesmitchellonevoice@sky.com. Music Evening Classes Basic Music Literacy, Beginners Guitar, Improvers Guitar at New College, Swindon. Thank Friday it’s Improv is a fun, social monthly group for fans of improv and those who have always wanted to have a go at the Corn Exchange Learning Centre in Newbury. Starts Fri 17 May. Click here to book. Creative writing workshops at Newbury College from April 2019. An exciting range of new courses that will unlock your creativity and take your big ideas to the big screen. Click here for details. Play in a Week at the Watermill Theatre create, rehearse and perform a play, all in one week. Make new friends and develop your skills. Bagnor nr Newbury Ages 7-16. Price £95. For details of this, click here: for details of other workshops, click here; or call Emma on 01635 570934 or email outreach@watermill.org.uk. Theatre arts for 4-16 years at The Beacon in Wantage. Click here for details (and scroll down). Dance courses from beginners to advanced at Newbury College from April 2019. Step to it with a range of dance courses from beginners to advanced, including many styles from Ballroom and Latin to Charleston. Click here for details (select Leisure Course). Ballroom, Latin American and Sequence dancing with Cheek2Cheek Dance. Private lessons, wedding dance lessons, tea dances and Learn to Dance in Day events. Friendly weekly beginners classes start Sept in Boxford, Lambourn and Wantage – keep an eye on the website cheek2cheekdance.co.uk or sign up to our Dance Lovers Guide newsletter. For more info contact Alison on 07780 624784. Dare to Dance at the Corn Exchange Learning Centre Newbury offers the opportunity for dancers of all abilities aged 55+ to explore their creative side and improve overall fitness. Click here to book 11-week course on Wed afternoons or Mon mornings starting 24 Apr. Dance classes across all age groups and abilities at the Corn Exchange Learning Centre in Newbury include: Infant Dance, Toddler Dance, Junior Dance, Youth Dance, Wise, Yes Men Dance and NOCTURN Adult Dance. Dance Evening Classes include adult ballet, Beginners Latin American and Ballroom at New College Swindon. Ceroc Swindon on Tuesday evenings in Stratton, Swindon. Click here for details. Tango Journey on Wednesday evenings in Stockcross near Newbury Click here for details. Contemporary dance, belly dance, freestyle, tap, street and ballet classes at The Beacon in Wantage. Click here for details (and scroll down). Café Scientifique monthly science and engineering talks at The Beacon, Wantage. Explore the latest ideas in science and technology for the price of a drink. 7.30pm second Tuesday of the month. Click here for details. Community learning workshops at The Wantage Mix includes zero waste pop-up, upcycling, French conversation and coffee, wine club and IT, Wantage. Hungerford University of the Third Age brings like-minded people together in small groups to explore learning opportunities in many varied subjects including languages, art, barn dancing, walking and geology. U3A membership costs just £16 per year and includes regular coffee morning, speakers, theatre trips and barn dances. 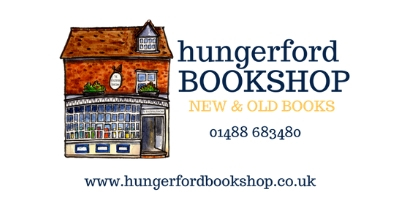 For more details please contact hungerfordu3a.org.uk in Hungerford. Home-School Tutoring (Oxfordshire and Berkshire) is a local branch of Home-School Tutoring UK. We offer all main subjects, from primary to senior level, tailored to the pupils’ requirements, whether for retakes, revision, exam preparation or a short burst of explanation to help understanding. We welcome new tutors to join our expanding team, timings to fit in with your personal schedules. Please contact Carolyn Watson, Area Advisor, on 07506 117 169 or carolyn.watson@homeschooltutoring.co.uk. Popular local maths tutor has vacancies for primary-school pupils, offering term-time and holiday booster sessions. Consultations and homeschooling sessions are also available. Contact Giselle Lategan on 01635 622584, text 07526 171573 or email g.hollyhock@outlook.com. Language classes from April 2019 at Newbury College. Learn a new language with short courses including French, Italian and Spanish. Click here for details (select Leisure Courses). Hola, Spanish Learning Club in Kintbury. Do you love to travel and want to interact with people you meet? Join one of our 2019 Spanish Courses Do you need a flexible schedule? Take private lessons. Do you just want to practice Spanish? Join our monthly Conversation Club. Fancy watching international movies? Join our Film Club (next screening in May). Please contact Angela Quiroga on angela.spanishclub@gmail.com or 07557 226 541. ESOL English lessons in the community – build your confidence in speaking, listening, reading and writing English. Learn at your own speed in a small class with an experienced teacher from the Berkshire School of English. Classes in Newbury, Thatcham and Calcot. Click here for details. Register for Life in the UK Test Preparation classes in Newbury. English ESOL/FCE Laser Progression Award in Literacy and Employability Skills Course – if you are looking to live and work in the UK, this course gives you an ESOL/FCE Laser Progression Award in Literacy and Employability. Classes are at the Berkshire School of English in Newbury on Monday mornings. Click here for details and FREE TUITION eligibility. Saturday School and online learning also available. French evening classes taster, beginners, improvers, AS Level at New College Swindon. French conversation morning (with coffee and croissant) last Saturday in the month, hosted by Hungerford Twinning Association at the Hungerford Hub. Computing and digital business skills from April 2019 at Newbury College. Keep up-to-date with the latest technologies that shape the modern workplace, from basic computer skills and Microsoft Office to social media for business and web design. Click here for details (click on Leisure Courses). Digital Skills for Re-launchers at Newbury College from 23 April 2019. Have you had a career break and are now beginning to look at getting back into the workplace? Sign-up for this five-week, part-time course to boost your confidence and give you the much needed digital skills to be in demand. Click here for details. First-aid training in Marlborough for the confidence to step forward and help in an emergency, including the use of a defibrillator. Accredited certificates available if required for your work or just come along to learn how to look after your family and friends. Details at worsleytraining.co.uk. 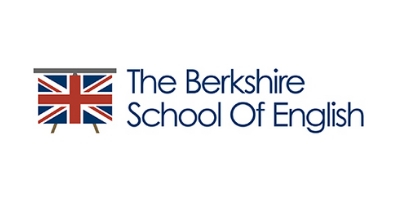 English-language courses for professionals for those working in a wide range of occupations (including English for Business Communication) at the Berkshire School of English in Newbury. Click here for details. 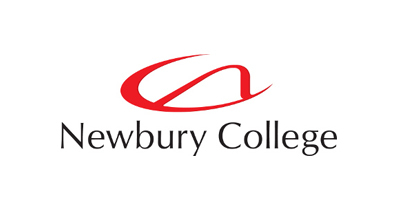 Compliance and workforce development at Newbury College from April 2019. Ensure your qualifications and accreditations are up-to-date with a range of compliance courses covering COSHH, HSE and fire safety to working at heights and wiring regulations. Click here for details. Bespoke language training for international business with Vici Language Dynamics. Our professional language coaches teach over 11 different languages, and can help your business through one-to-one language training, bespoke e-learning or even language recruitment services. Zak Elliott Personal Training Sat morning bootcamps & kickboxercise evening classes in Newbury & Hungerford, X-HIIT (high intensity interval training) and 1-2-1 Personal Training sessions with fitness trainer, boxing coach & kickboxing professional Zak Elliott at Greenham Business Park. Click here to book your session or contact Zak on zakelliott.pt@gmail.com. Monthly packages available. 5-day-a-week SuperFit Boot Camp with ex-Army PT instructor Jason Briley in Newbury. Monday to Friday 6am or 6.45am. Next six-week boot camp starts 15 Apr, others to follow. Thirty sessions for £149.99 including free shirt, nutrition advice plus regular discounts. Suitable for all fitness levels (beginners welcome). Click here to join. Aerial & Pole Fitness Classes fancy a class that gets you fit but you don’t feel like working out? Then aerial fitness is for you! Private 1-2-1 and group aerial fitness classes available (in pole, hoop and silks) with Bambi Newport in Newbury. Daytimes and weekends, open to adults and children. Beginners welcome. Click here for details. Audley Club at Inglewood near Kintbury offers members over 20 group exercise classes a week including dance fit, yoga, pilates, aqua aerobics; a personal trainer on site; state-of-the-art gym, swimming pool and sauna. 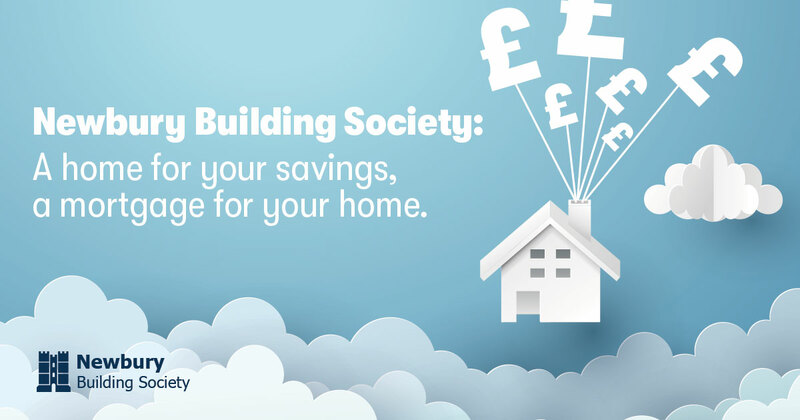 Click here for details or call 01488 687012. Aqua Aerobics at the Hungerford Leisure Centre. All-round, low-impact aerobic workout in the pool for all ages and abilities. Contact 01488 683 303 or visit their website. High-energy workout classes at the Hungerford Leisure Centre including body attack, body pump, circuits and spin classes. Contact 01488 683 303 or visit their website. Fitness at The Lambourn Centre various morning and evening classes for all abilities as well as gym membership, kids trampolining and gymnastics. Supervised gym sessions for 11-15 years. Contact 01488 73690 or visit their website. Outdoor Group Circuits high-intensity 60-minute full-body workout: what better way to improve your fitness and tone up for summer? Cardio exercises, strength training and lots of fun! All abilities welcome 9.15-10.15am Tuesdays in Wantage Memorial Park. Pre-booking essential with clare@coreprogress.co.uk or visit coreprogress.co.uk for further information on classes, personal training, pre- and post-natal exercise and running programmes. Get Strictly Fit! ballroom moves adapted for a fitness class format so you dance on your own but feel like you’re on Strictly Tues evenings in Thatcham. Free taster session for new members. Visit strictlyfitsteps.com or call 01635 877253. Beginner’s Running Programme with Hungerford Hares starts 23 April. Click here for details. Dance with Parkinsons at the Corn Exchange Learning Centre in Newbury is suitable for people with Parkinson’s and their carers to develop confidence, strength and relief from symptoms. Click here to book starts Fri 26 Apr. Home exercise kitbag for West Berkshire residents who want to improve their mobility and balance but struggle to get out to a class. On clearance from your GP or health professional, you will receive tuition at home on exercise as well as a resistance bands and ankle weights to aid exercise. 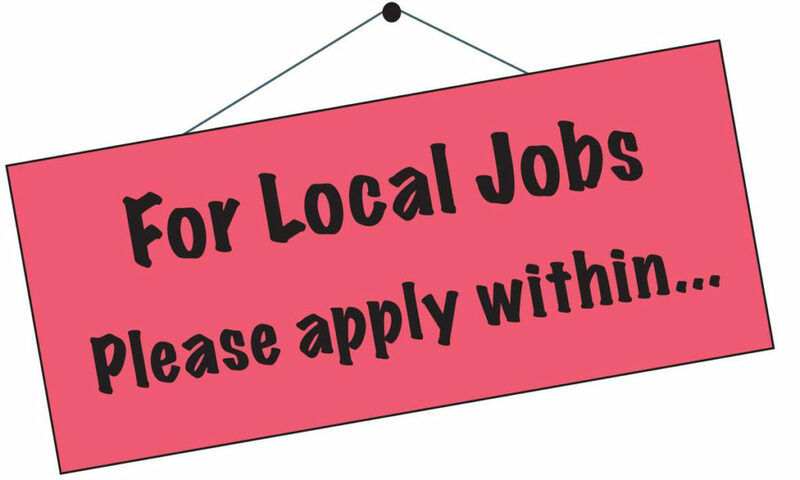 To apply contact Nick Rance nick.rance@getberkshireactive.org or call 07702 892 518. Low-impact pure stretch and wellbeing aerobics classes at Hungerford Leisure Centre for complete beginners or for those returning from injury. 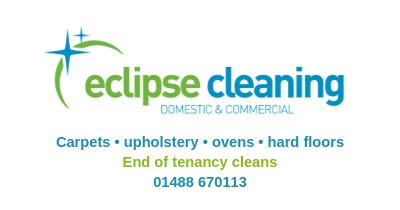 Contact 01488 683 303 or visit their website. Sit tall, stand strong (chair-based gentle exercise class) at the Lambourn Centre every Wednesday 2pm-3pm to improve mobility and prevent falls. 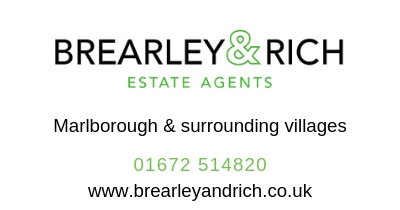 Contact 01488 73690 or visit their website. Flexibility and mobility classes at the Hungerford Leisure Centre include body balance, a mind-and-body training class, yoga and pilates. 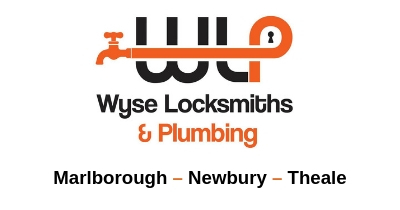 Contact 01488 683 303 or visit their website. Authentic Parenthood Course with Rachel Tapping for busy, possibly-a-little-overwhelmed parents who are trying to give ther little ones the best start in life whilst juggling work, family and looking after themselves. Click here to book five-week course in Padworth starting 1.45-3.15pm Thurs 25 April. Cost £155. Children under 2 welcome. Sustainable Style Studio 12-week online programme to inspire anyone who wants to buy less new clothing with Frankie & Riby personal stylist Victoria Lochhead. Click here to enquire when next programme starts. Whole-home tidy support programme 20 Weeks To Tidy! with certified KonMari™ Consultant, Andie Bright in East Swindon to help you acheive a calm and de-cluttered living space. For more details email andie@helpmetidy.com. Community learning workshops at The Wantage Mix includes zero waste pop-up, upcycling and monthly repair café Wantage. Improve mental wellbeing from April 2019 at Newbury College. The ‘In Mind’ programme offers a range of free courses for any adult residing in West Berkshire who feel stressed, worried, low or are suffering from mild to moderate mental-health difficulties. Click here for more information. Calm Quiet Space Mindfulness teaches you how to settle the chattering mind and helps you spend more time living in the present moment, reducing the pressures & stress of everyday life. Next Four Week Introduction to Mindfulness Course in Great Bedwyn starts Thur 25 Apr 9.30-11.30am. Cost £85. Please contact Caroline on 07836 762702 or email carolineqs@btopenworld.com. Mindfulness meditation to help you relax and stay relaxed! Introductory four-week lunchtime course starts Fri 26 April at Donnington Grove, Newbury.Restorative Meditation first Sunday eve of each month, starts Sun 7 April followed by refreshments at New Era Theatre, Wash Common. Click here to register your interest in a weekly daytime class in Hungerford. Advanced bookings only please via mindful-medicine.co.uk/book-online. For details contact 07840 620731 or gillian@mindful-medicine.co.uk. The Healing Room in Wantage offers Reiki Academy (Level 1 & 2 and Master), one-day Oracle Card Workshops and The Healing Space six-week courses. For more information contact Helen at hello@the-healing-room.net or 07964 423 851. Yoga for beginners, mixed ability and restorative Yoga Sum classes start Thur 9 May at Hanney War Memorial Hall near Wantage. Designed for learners who want to maintain their health and wellbeing through regular Yoga practice – click here for course details. Hatha Yoga with Beth. Weekly classes in Newbury, Stockcross, Hungerford & Childrey plus monthly Restorative Classes, Retreat Days, Therapeutic Yoga and 1-2-1s. Senior Teacher Beth Trotter has been teaching locally for 20 years. For more info please visit beyoga.co.uk and use the discount code PENNYPOST to get £5 discount off any course or event booking. Kalm ‘n’ Kind Yoga takes you through a journey in one class to find yourself and feel fit, free and full of energy. Weekly drop in classes in Hampstead Norreys, Pangbourn and Tidmarsh for beginners to intermediate. Soulful Selfcare Sunday afternoon of yoga, long relaxation and afternoon tea Sun 26 May in Hampstead Norreys. Investment £30 (suitable for ALL abilities). Contact Kim on info@kalmnkindyoga.co.uk or 07811 385411. Please visit kalmnkindyoga.co.uk for all dates. Hatha Yoga for fun, flexibility, strength and de-stressing. Beginners and intermediate. 9.15-10.45am Fridays in term-time in Ramsbury Church Rooms. 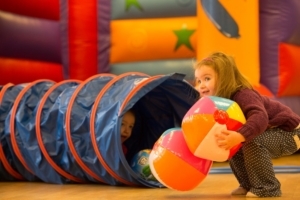 Prepaid per half term: £8.50 per class; drop-in: £12. Siobhan Nell British, Wheel of Yoga 07704 616900 sbhnnll@gmail.com. Yoga and Pilates at The Beacon in Wantage. Click here for details (and scroll down). Yoga with Claire Fisher private 1:1 sessions and small local yoga classes in Marlborough. Visit clarefisheryoga.co.uk for details. Matt Ward Karate popular courses for juniors in Bishopstone, Marlborough, Swindon, Watchfield, Wroughton, Ashbury, Chilton Foliat and Lambourn. Private adult sessions by appointment. Contact Matt Ward on Facebook or matt@mattwardkarate.co.uk or 07774 645 476. Tai Chi with Kate learn a flowing group of slow, strong movements based on the Sun style. Tai Chi is known for its healing properties with pain relief, flexibility, strength, peace of mind and falls prevention. Classes in Newbury, Thatcham, Kintbury & Marlborough. £42 for a term of six classes. Contact Kate on 07562 655877 or taichiwithkate@gmail.com or visit the website and scroll down for class times. Start w/c 23 Apr. Chen Style Tai Chi Chuan weekly drop-in classes for beginners in Swindon, Newbury, Lambourn, Hungerford and Reading to relax and strengthen your body. One Day courses and 1-2-1 tuition also available with senior instructor Mark Jones. Visit greenchi.co.uk for details. Taekwondo and kickboxing at The Beacon in Wantage. Click here for details (and scroll down). Dog Training for Working Breeds with Jill Thorpe. Small, relaxed fortnightly classes (Weds afternoons & Fri mornings) in Marlborough starting with good manners on the introductory foundation course, working on recall, heelwork, steadiness and an introduction to the puppy retrieve. Contact Jill on 07901 651 663 or jill@developyourdog.co.uk. 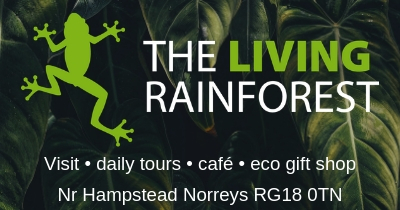 Wildlife clubs for up to 16 years who love wildlife, and want to do more to help BBOWT Wildlife Trust at Nature Discovery Centre in Thatcham or local site. For times and locations visit bbowt.org.uk/explore. Practical river restoration and surveying activities, including training in various environmental issues and techniques, are regularly organised by Action for the River Kennet, mainly in the Marlborough area. For more information, visit the website, the Facebook page, email info@riverkennet.org or call 01672 512700. Young Farmers for anyone aged 10+: not just for farmers but for anyone with an interest or passion for the countryside. With a whole host of different activities, from arts and crafts to public speaking and stock judging. 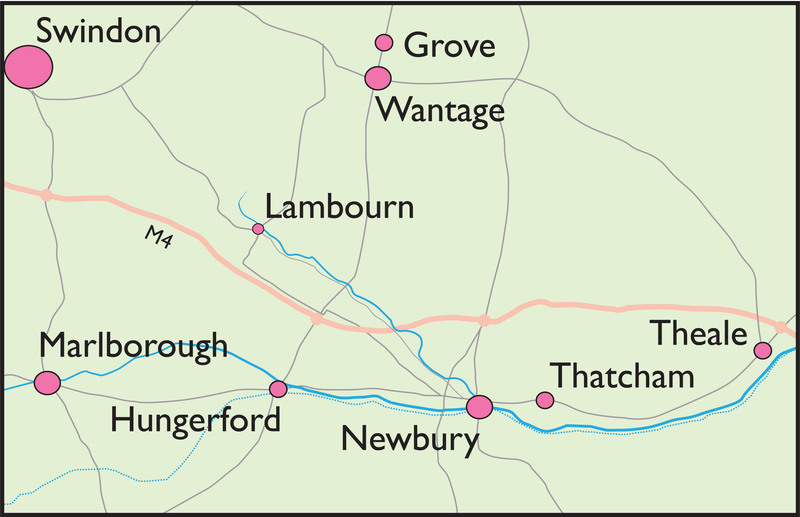 Clubs in Shefford, Newbury and Bradfield (meets in Theale). For more details and how to join visit berksyfc.org.uk. Berkshire Walkers is a Ramblers ‘Young Persons’ Group aimed at people in their 20s and 30s that organises walks and social events across Berkshire. Simply turn up on any walk and you can choose to join Berkshire Walkers after two or three walks. BuggyBeat regain body confidence and muscle tone post-birth in this fun and social outdoor cross-training class for mum, baby/toddler and pushchair. Team games, cardio and resistance exercises and core conditioning, led by pre and post-natal exercise specialist Clare Mowforth. Classes Tuesdays 10.30-11.30am, term-time only in Wantage Memorial Park. Come along to your FREE taster session, email clare@coreprogress.co.uk or for more information visit coreprogress.co.uk. Grandparent and Me Ukulele Construction Weekend is a chance to make your very own ukulele as well as making memories and music at the Corn Exchange Learning Centre in Newbury. Suitable for ages 10+ and their grandparents. Click here to book 27/28 Apr. Makaton Karaoke is a relaxed monthly group at the Corn Exchange Learning Centre in Newbury designed for families to learn, sign and sing a fun song using Makaton. Click here to book. Starts Fri 10 May. Creative Family Fun at the Corn Exchange Learning Centre in Newbury with Family Dance, Family Theatre and Family Junk-modelling.